Time to do the tourist thing and wander the shops in Reykjavik. Though we took some time to watch “puffins” too.I put quotes around puffins because the ones we saw were both very small AND very far away. 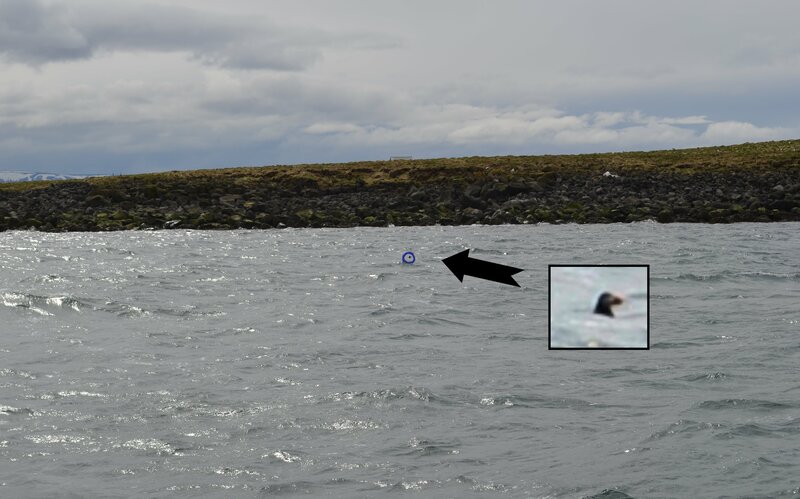 Most of the time we just took it on faith that what we saw were puffins. We hopped on the boat quite early to get out to the island to see where the puffins where. The sea was quite choppy and there were a few green faces in the main cabin (the waves were going over the boat so no one was allowed on the top observation deck). En route we got a pretty interesting run-down of puffins (their jaw joint can ‘unhinge’ to make their jaws almost parallel; this allows the puffin to stack loads of fish in it’s mouth while underwater. Record-holders were around 60 fish in their mouth at once!) plus some information about the island itself. After getting back we settled stomachs with a hot-dog (a medically approved cure for seasickness, surely) and did a bit of souvenir shopping. 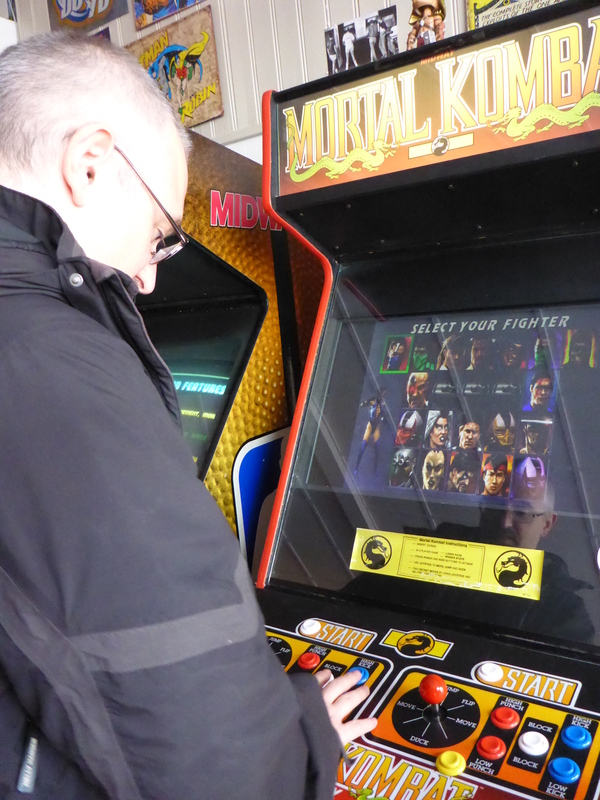 Up, left, left, right, low punch….. dammit! Hard a gorgeous catch-of-the-day sampler for tea; three types of fish and 9 dips! Very nice indeed. XCOM Update: As I said, my men could cope with aliens fine. Lunatic human Fifth-Columnists? Not so much 😦 I got an EXALT mission where we had to stop them hacking a computer. The contested area was on the other half of the map so I made the mistake of rushing. Mistake #2 was breaching a room when most of my men had already had their turns. I triggered two large groups of EXALT and a third patrol soon joined. I paniced and moved my MEC in (the only unit with movement) to try and take some down, which he did. And then it was their turn. EXALT cut lose with the AOE. Rockets and grenades did serious damage but more critically destroyed everyone’s cover. The follow burst of 6-8 lasers shredded everything. We tried to stabilise but as the reinforcements dropped in the whole thing turned to failure. Full team wipe followed by a lethal terror mission where I only had 2 semi-experienced troops.